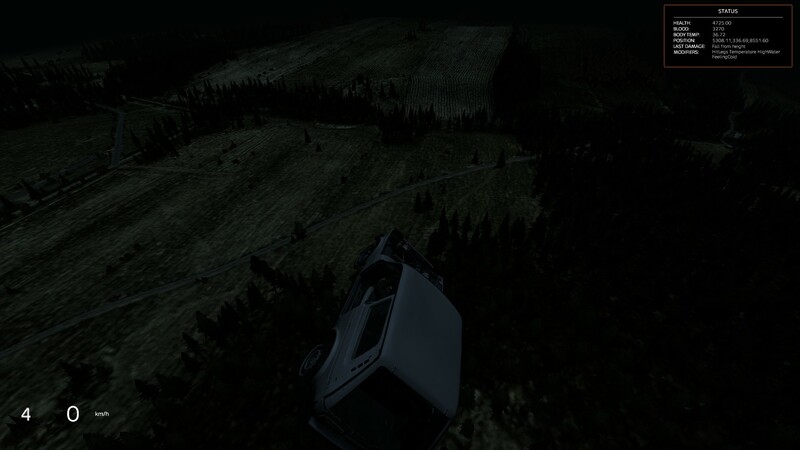 I was driving through the woods near the NWAF, when suddently i hit a rock with the left side of my car and then he fell sideways on the woods, as soon as he touched a pine tree while sliding sideways, the car just turned into a spaceship, flew so far away that i couldnt see the map anymore. 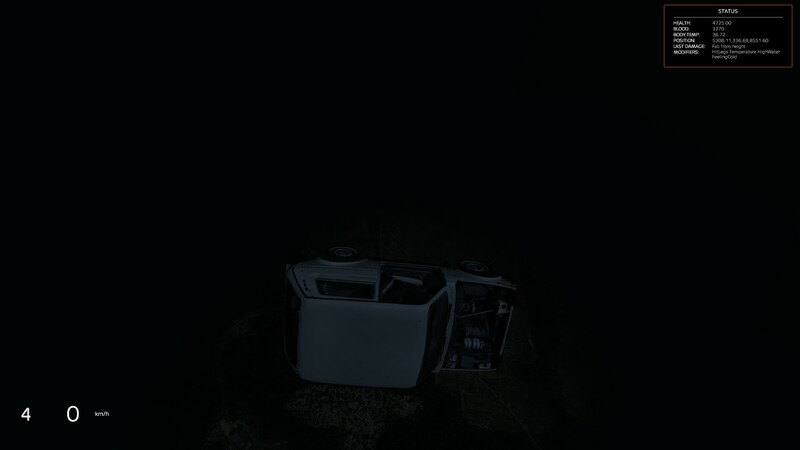 As soon as the car fell back from the sky, he fell in the woods again, he touched the ground and flew away again, i couldnt even see the map as you can see in my prints, in the second time he fell from the sky, he wasnt in the woods anymore, he fell in open field, this time he just bounced on the ground a few times and stopped, i got out of the car, every part of him was ruined, i was ok, but the vehicle parts were all ruined. Hello windstride and thank you for the report. 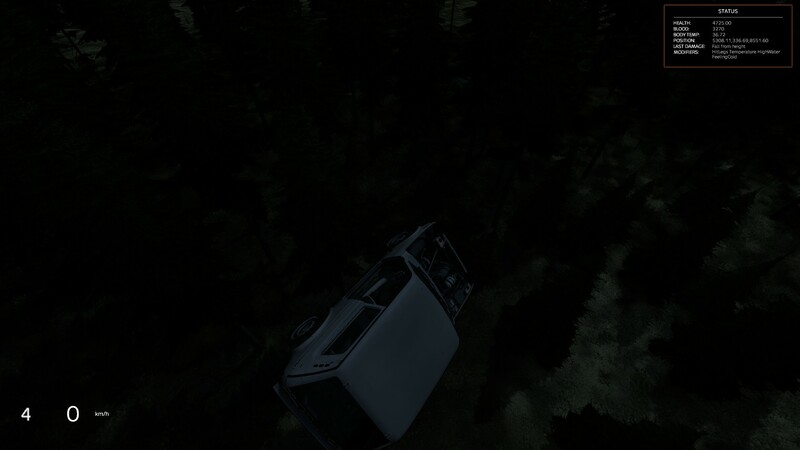 So, my brother and I just experienced this on DayZ US 5136315 (if there are logs for that server that could help) around 21:00 today. We found an Ada 4x4 in need of repairs and my brother decided to get into the car to check fuel levels and the other gauges. 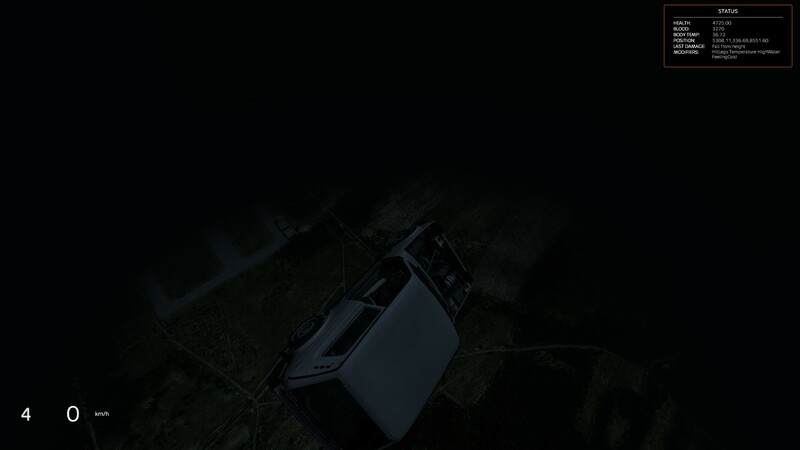 As soon as he got in, the vehicle started to lift off and shake around, eventually flying away. 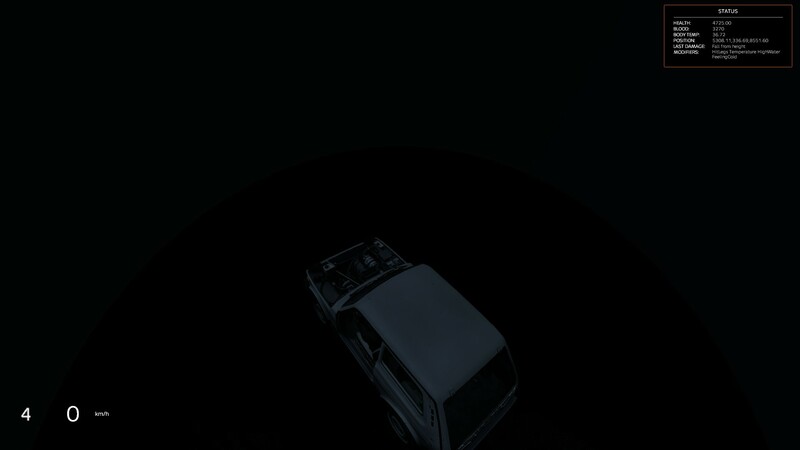 While it was a funny sight to behold from my perspective, from his perspective it was impossible to get out of the vehicle in time and eventually his screen went black as he went unconscious and died from the violent shaking. 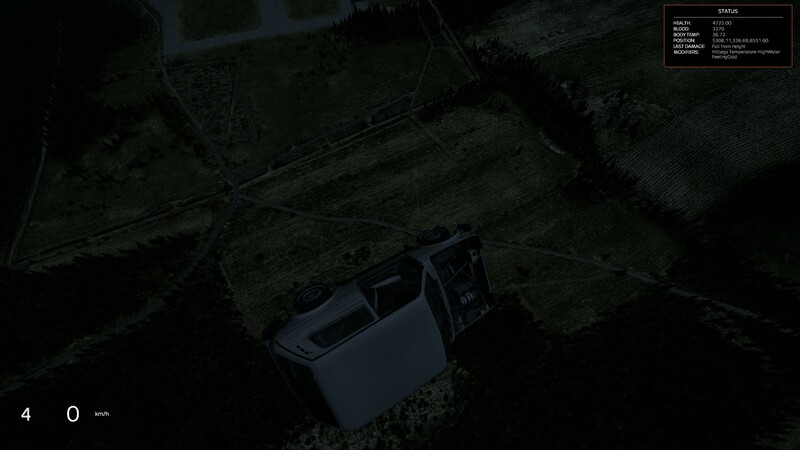 At one point, the car must have been 100 feet in the air and flew maybe a mile or two to the east of where we found it. 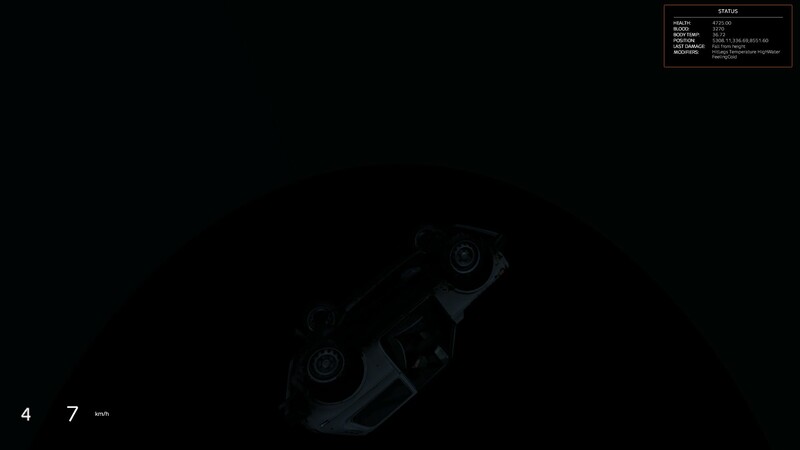 I chased after it in an attempt to get his gear, but it was upside down and could not be interacted with. So, he lost a lot of valuable loot which equals many hours of time spent. It will be even more hours spent running across the map to get to where I am, so he is extremely frustrated and put off by the game now. While I understand that there will be bugs, this is quite frustrating to see in 1.0 - especially after finding this nearly two year old task! Anyways, if there's any other info we can provide to help get this fixed, let me know.